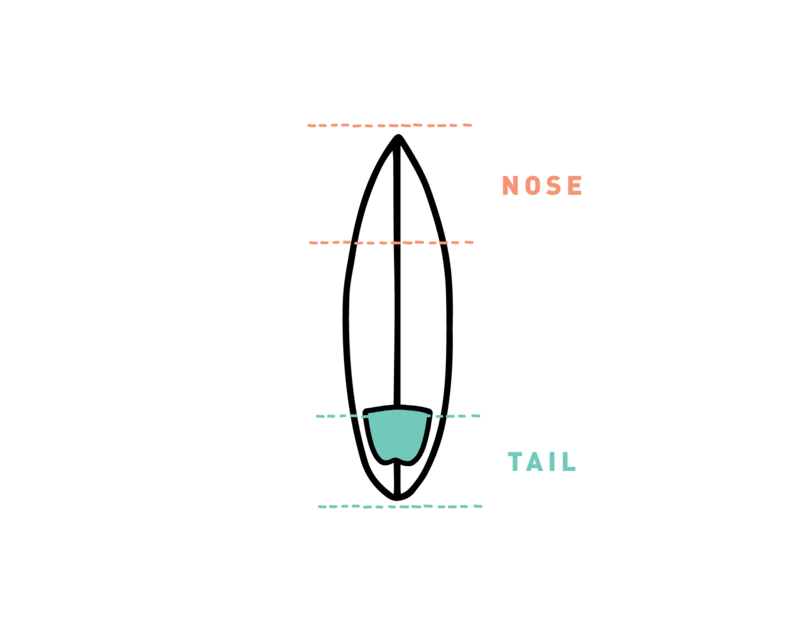 Learn How to Carve and Trim by Shifting your Weight on your Surfboard. 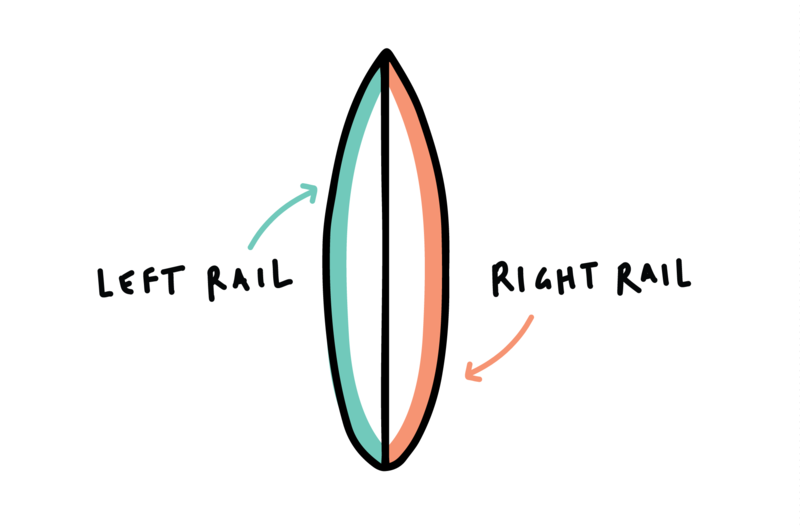 Learn how to carve and trim left or right by shifting your weight on your surfboard. Once you have the proper surf stance, you will be able to adjust your weight distribution on the board, in order to trim or to carve. 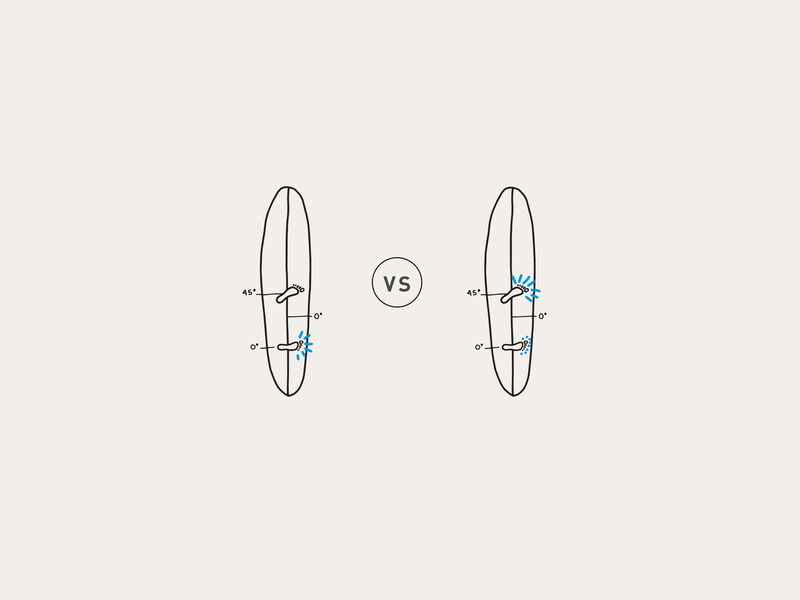 Since surfing is a water sport, the way you distribute weight on your surfboard has a tremendous effect on the surfboard’s direction and speed over the water. 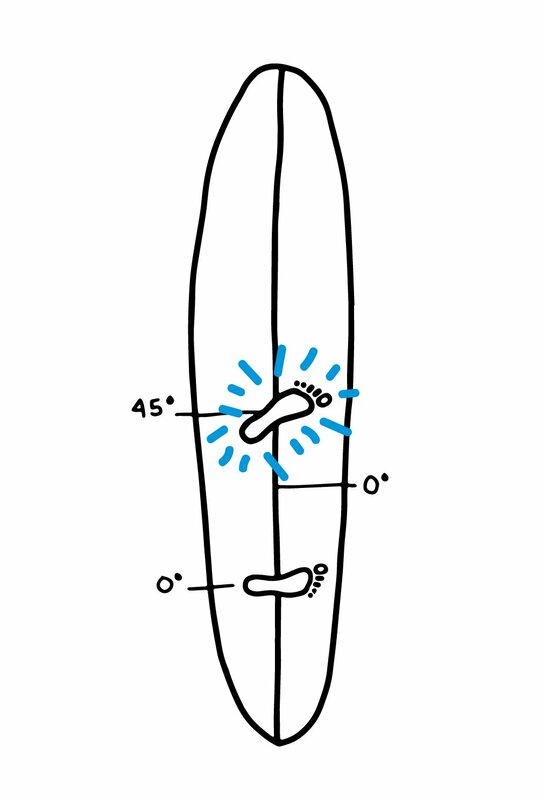 You can shift weight on your surfboard by either moving your feet when standing up (for example when a longboarder walks all the way to his surfboard’s nose) or simply by shifting weight in between your feet, by moving your whole body (knees, hips, chest, etc.). Because this is a beginner article, we will focus on the easiest and most popular way to turn your surfboard: by putting weight on different areas of the surfboard without moving your feet. Weight on the back foot is like putting the brakes: It slows you down. Weight on the front foot is pressing on the gas pedal: You will accelerate. 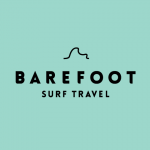 A surfboard moves a bit like a boat, meaning that if a boat needs to to a sharp turn to change direction, then the nose of the boat will go up in order to pivot easily (carving). If a boat needs to turn at high speed, the nose will stay closer to the water and the turn will be less sharp (trimming). A surfboard does the same thing. “Carves” are the deeper, more radical turns. They are used to change direction rapidly and drastically. 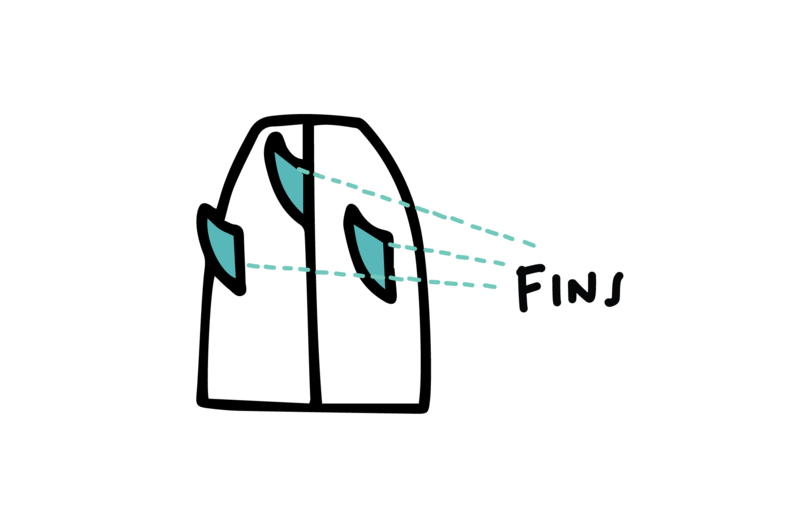 To do so, surfers need to apply more pressure on the back foot, slightly lifting the nose and making it possible to pivot the board using the fins and the rails. Many of the high-performance manoeuvres include a good carve. Example of manoeuvres: Bottom Turns & Cutbacks. 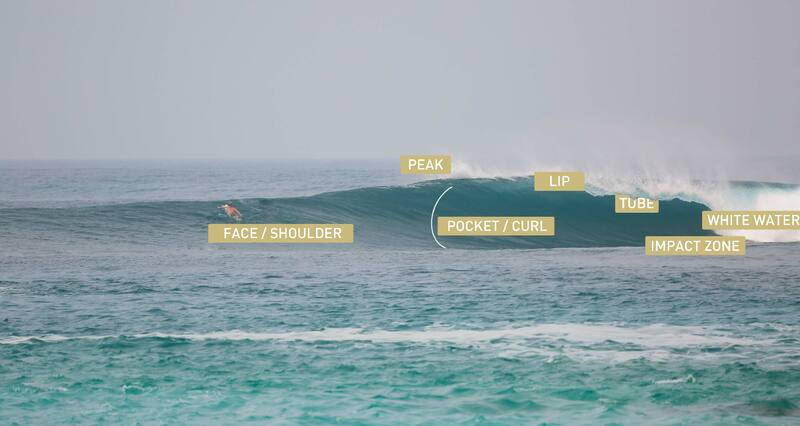 Surfers “trim” in order to adjust to the shape of a wave, going slightly higher or lower to surf the shoulder with the necessary speed to stay in the optimal position. These small adjustments are made by slightly leaning your body and putting a bit of weight on either your heels or toes, especially over the front foot. Trimming can’t be used to change direction. As we have seen, putting weight in the front means gaining speed, and putting weight in the back means slowing down. The same thing applies to your turns. If you need to turn drastically while losing speed to let the wave shape itself, go for a carve. If you need to angle your take off and rapidly go down the line, you should trim. If you see that wave is going to break very quickly, you won’t have time to go down the wave and carve. You want to be taking off in angle and trim on the face to adjust your speed according to the shape of the wave. If the shoulder looks like it’s going to peel slowly, you don’t want to be trimming because you will end up too far in a very flat part of the wave. Instead, drop the wave to the bottom, press on the brakes (back foot), and go for a carve. This will give time to the wave to start getting steeper before you start surfing the shoulder, giving you a much more enjoyable ride!